This article is about the region of Malabar. For the coast, see Malabar Coast. For other uses of Malabar, see Malabar (disambiguation). The word Malabar is derived from the Malayalam word "mala-baram". Mala in Malayalam means "hill". Varam means "slope" or "side of a hill". The Malabar Coast, in historical contexts, refers to India's southwest coast, lying on the narrow coastal plain of Karnataka and Kerala states between the Western Ghats range and the Arabian Sea. The coast runs from south of Goa to Kanyakumari on India's southern tip. In ancient times the term Malabar was used to denote the entire south-western coast of the Indian peninsula. The region formed part of the ancient kingdom of Chera until the early 12th century. Following the breakup of the Chera Kingdom, the chieftains of the region proclaimed their independence. Notable among these were the Kolathiris, Travancore, Zamorins of Calicut, the Coylot Wanees Country of northeast and coastal Ceylon (including Puttalam), Valluvokonathiris of Walluvanad. The Malabar Coast is sometimes used as an all-encompassing term for the entire Indian coast from the western coast of Konkan to the tip of the subcontinent at Cape Comorin. It is over 525 miles or 845 km long. It spans from the south-western coast of Maharashtra and goes along the coastal region of Goa, through the entire western coast of Karnataka and Kerala and reaches till Kanyakumari. It is flanked by the Arabian Sea on the west and the Western Ghats on the east. The Southern part of this narrow coast is the South Western Ghats moist deciduous forests. Climate-wise, the Malabar Coast, especially on its westward-facing mountain slopes, comprises the wettest region of southern India, as the Western Ghats intercept the moisture-laden Southwest monsoon rains. The Malabar Coast featured (and in some instances still does) a number of historic port cities. Notable among these were/are Naura, Vizhinjam, Muziris, Nelcynda, Beypore and Thundi (near Kadalundi) during ancient times, and Kozhikode (Calicut), Cochin in the medieval period, and have served as centers of the Indian Ocean trade for millennia. Because of their orientation to the sea and to maritime commerce, the coastal cities of Malabar are very cosmopolitan and have hosted some of the first groups of Christians (now known as Saint Thomas Christians), Jews (today called as Cochin Jews), and Muslims (at present known as Mappilas) in India. Though the name is sometimes extended to the entire south-western coast of the peninsula, called the Malabar Coast. Malabar is also used by ecologists to refer to the tropical and subtropical moist broad-leaf forests of south-western India (present-day Kerala). Malabar District, a part of the ancient Malabar (or Malabar Coast) was a part of the British East India Company-controlled state. It included the northern half of the state of Kerala and some coastal regions of present-day Karnataka. The area is predominantly Hindu, but a part of Kerala's Muslim population (Mappila) also live in this area, as well as a sizable ancient Christian population. Kozhikode is considered as the capital of Malabar. During the British rule, Malabar's chief importance lay in producing pepper. The area was divided into two categories as North and South. North Malabar comprises present Kasaragod and Kannur Districts, Mananthavady Taluk of Wayanad District and Vatakara and Koyilandy Taluks of Kozhikode District. Left-over area is South Malabar aka Eranad Taluk which comes under present Malappuram District and Palakkad District. At the conclusion of the Anglo-Mysore wars, the region was organized into a district of Madras Presidency. The British district included the present-day districts of Kannur, Kozhikode, Wayanad, Malappuram, much of Palakkad (Excluding Alathur and Chittur taluks) and some parts of Thrissur (Chavakkad Taluk). The administrative headquarters was at Calicut (Kozhikode). With India's independence, Madras presidency became Madras State, which was divided along linguistic lines on 1 November 1956, whereupon Kasaragod region was merged with the Malabar immediately to the north and the state of Travancore-Cochin to the south to form the state of Kerala. 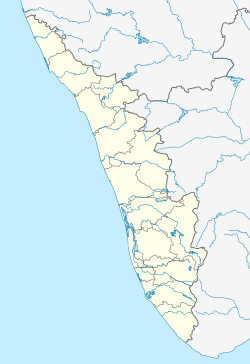 Prior to that, Kasaragod was a part of South Canara district of Madras Presidency. The Monsooned Malabar coffee bean comes from this area. Wikivoyage has a travel guide for Malabar. ^ "Kerala. Encyclopædia Britannica". Encyclopædia Britannica Online. 8 June 2008.